Why not hire Pebbles Fish & Wine Bar for your birthday or special event? 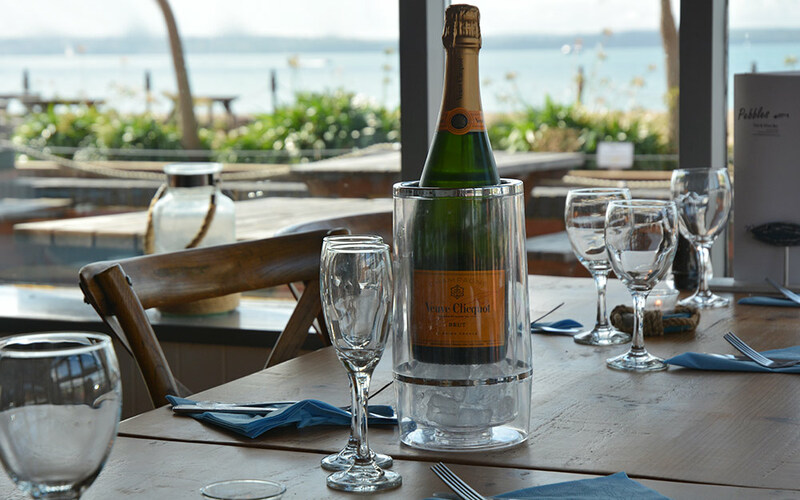 With its unique waterfront setting in the heart of Stokes Bay, Pebbles Fish & Wine Bar makes the ideal location for your private function with seating up to 52. We are happy to cater for your birthday, wedding reception, Christmas party, or special event so please contact us to discuss your requirements and menu options. We are conveniently situated next Pebble Beach Car Park which offers plenty of space and convenience for you and your guests with free parking after 6 pm.